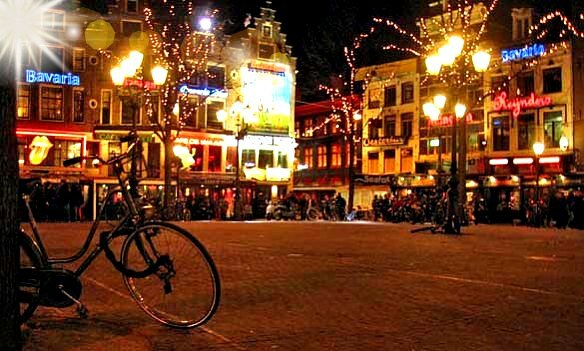 Leidseplein Amsterdam is a highly popular night life area in the city and a great spot for a pub crawl. What's so special about it? It is the place with multiple pubs and bars where you can have fun, to have a drink, enjoy the nice weather (if you are lucky) outside on one of the many terraces and watch people and street performers. The Leidseplein is a big square shaped plaza lined with bars and restaurants. In the summer months, most of the pavement is taken by large terraces where people can sit, relax and enjoy the scenery. Later at night it will get more busy, especially on the weekends. There are street performers like jugglers, acrobatic street dancers and living statues. It can be found on the south side of the canal belt at the end of the Leidsestraat. It is close to the Vondelpark, shopping center and it IS the center of the Amsterdam nightlife. The plaza serves also as big hub for the streetcars. There are several lines connecting here. From the Central Station you have to take tram 1,2 or 5 and get out at the Leidseplein stop. From other parts of the city you can take tram 7 or 10. 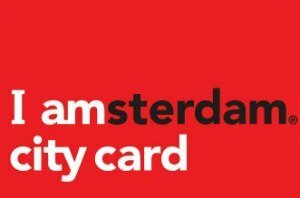 What to do around Leidseplein? Like we told before, this is the place to have a drink and enjoy the Dutch bars, but besides that you can also explore the surrounding streets for their international orientated restaurants. Indian, Chinese and Argentinian restaurants can be found here and they offer in general a good quality food. Also the bars itself offer nice dishes, like meal of the day and especially good and convenient for lunch or an early diner, because their kitchens close early. Music and dance lovers also have to explore the surroundings of Leidseplein Amsterdam, because there are lots of bars, pubs and small nightclubs lining the surrounding streets. The two famous nightclubs Melkweg (Lijbaansgracht 234 A) and Paradiso (Weteringschans 6-8) can also be found in this area. And if you like to enjoy a classic evening you can go to the city theater (Stadsschouwburg)right on the Leidseplein. You see, there is something for everybody! And the fun thing: This is not a real tourist attraction, because the locals love this plaza also!